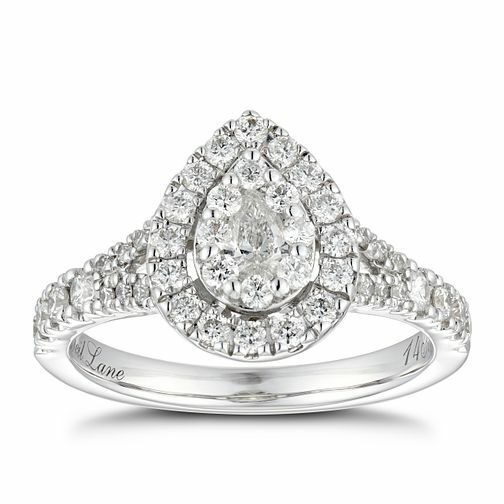 Neil Lane 14ct White Gold 0.81ct Diamond Pear Diamond Ring is rated 5.0 out of 5 by 4. Rated 5 out of 5 by Anonymous from Engagement ring!! This ring is amazing! Me and my partner picked it out as an engagement ring. Looks great, sparkles fly from everywhere and had lots of compliments on it! Would defiantly recommend! Rated 5 out of 5 by Anonymous from Pear shapehalo ring What a fab gift this was for my birthday sparks fly from it every ware love it so much nice man i have.